Two militants were killed and three soldiers injured on Wednesday in a gunfight between security forces and terrorists in Jammu and Kashmir’s Badgam district, police said. 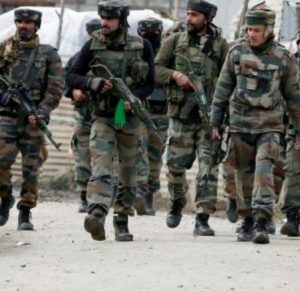 The encounter broke out after security forces in a joint operation with the local police launched a cordon and search operation in Kuthpora village of Budgam. As the security forces were zeroing in on target house, militants opened fire triggering the encounter. Mobile and internet service have been suspended in the area. 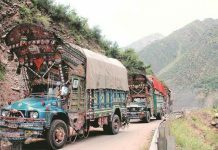 On Tuesday, three militants were killed and an army soldier was martyred in two separate encounters in Jammu and Kashmir’s Tral and Kulgam district.